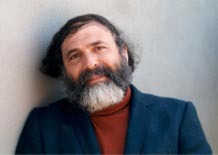 Hillel Schwartz is the author of Century's End: A Cultural History of the fin de siècle from the 990s through the1990s. Mr. Schwartz is a Senior Fellow at the Millennium Institute and a consultant to the White House TaskForce on the Millennium. His most recent book is The Culture of the Copy: Striking Likenesses, UnreasonableFacsimiles. Some would draw the line toward the year 2000 as an ever steeper ascent; some, a terrifying descent. Some would have us spiral toward 2000 in a rush and whirl of coming attractions, comic, tragic, thrilling; some see a shambles. I would plot the end of this second millennium A.D. and the start of the third as a nova, its effects spreading out in all directions. We are, every one of us, illumined by this moment, which demands a profound personal and corporate stocktaking and, in the next few years, the making of bequests to generations beyond 2001. What meaning we, and our entire millennium, have for them will be determined more, perhaps, by what we do now than by what we have done, or undone, at the turns of all the centuries heretofore. In 1498, the same year that he completed his famous series of wood cuts based on the apocalypse, or Book of Revelation, Albrecht Durer painted another in the series of self-portraits he had begun in 1492. Here, in 1498, is Albrecht as a youth of 26. His glance sidewise, his lines of his blouse irregular, his cap half-playful, his chest vulnerable and open. His demeanor casual, but as you can see from his eyes and the turn of his head, his demeanor suspicious. The embossed description that you can hardly see over there, reads in a cramped gothic handwriting: "This I have painted after myself or in my manner when I was 6 and 20." Two years later, Durer painted yet another self-portrait, now he was 28. The climactic year which according physicians and theologians, which marked the accession to adulthood. And now he faces us straight on, centered and challenging. His right hand forming a gesture of spiritual authority, drawn from Byzantine portraits of Christ, the King. The portrait itself tells us that Durer has assumed the mantel of maturity. His dress is heavier, his demeanor less vulnerable and less ambivalent. It is his defining moment. It is also the definingmoment for the modern image of Jesus descending from the clouds at the second coming. From this very painting would derive most subsequent portraits of Christ returned. In biblical paintings and bibles, in Sunday School texts and Evangelical literature. It is also the moment, as you might notice, when the son of God became a blond. Now, this self-portrait urges upon us the coincidence of Durers obsession to personal and artistic maturity at the end of the century and the very mid-point of a calendrical millennium, in the year A.D., Anno Dominion, or Albrecht Durer. Fifteen-hundred, the very famous A.D. monogram itself is bolder than in earlier portraits. And the inscription now central to the entire wave that the composition has created, reads in Renaissance Latin, "I Albertus Durerous Novicus did this portrait recreating myself with imperishable colors when I was 28 years old." So we can tell in 1500 that Durer was consciously proclaiming a new golden age as his generation came into its own. We also know of his attentiveness to the year 1500 because he was writing to his friend Conrad Seltus(? ), the poet laureate of the Holy Roman Empire, who was himself scurrying to finish the last of 500 quatrains in honor of the 500th year after the 1000th year of the birth of Christ. And in fact, Seltus is worried that he wont finish his 500th in time for the year 1500. But he also at the same time wrote an ode to the turn of the century, in 1500, in the manner of the poet Horaces ode 1500 years before. Now Durers particular emphasis upon the meaningful convergence of generational change, world historical age, and calendar page must be kept in mind as we approach our own centurys end. Even as we suffer the dreary predictions of a fin de siecle or end of century. Durers contemporary, Martin Luther, fully expected the world to come to a halt by 2000 A.D. Not Albrecht Durer, but certainly, Anno Dominion. For 500 years indeed, doomsday prophecies and spiritual or economic forebodings have accumulated around 1999. Life insurance is certainly aware of this. So also, world historical promises of transformation have accumulated around 2000 and the film 2001. And the idea of entering the new millennium. By now of course, we should all be tired of apocalypse. Cant be get beyond late-night replays of Nostrodamus and warmed over armageddons? Havent we had enough thrillers about planetary and global disaster? How long can we go on with this end not ending? Advertisers, ever impatient, assure us that well cross over into the 21st century with time to spare. Theres an Amstal Light Beer ad, ah, billboards across the country, which I do not have a copy of unfortunately, it says: The light at the end of the tunnel. A light beer for a heavy world. I see that as a particularly fin de siecle advertisement. The next is one we can also see as a fin de siecle advertisement, but its explicit. The Mazda Millennia. Now this comes, you cant read in the fine print, but it comes with a really millennial promise of 24 hour emergency roadside assistance. THIS is what the whole world needs. Twenty-four hour emergency roadside assistance. Another ad, the Hotel Millennia in Manhattan promises harried executives round the clock room service, global electronic access from their rooms, swan white linen, and serenity in the middle of Manhattan. So, so, as far as large firms are concerned, manufacturers and corporations, the next millennia has already clocked in. In fact, the forging industries, as they can say, are forging ahead beyond the year 2000. So even non-commercial corporations, just advertising in their own trade organizations are using the year 2000. Corporations, for corporations, the millennium means down sizing for a sleek new 21st century profile. Running just in time inventories. A truly fin-di-secla notion, exploiting new technologies and anxiously seeking 21st century avenues of profit, business and industry may be dominant in 1990s just in time, but no one knows what happens to workers in any collar or color in the aftermath. So, far as the arts and humanities here at the Getty are concerned, the aftermath is an after-world. This is "The Day After," a painting done in 1984, which was the height of apocalyptic, nuclear catastrophe scenarios. But if you just think about it, since 1984, weve been living in a series of revolutions and abortive revolutions. And were rather in limbo than in heaven. Nothing in the nineties, nothing in the nineties seems new. Not even the new age, which seems rather tired. Itself mired in ancient mysteries of past life regressions. They dont do future life regressions, you know, just past life regressions. Everything now, if you look at the literature and from the newspaper to the highest level of social commentary, everything is past and post. Post-apocalyptic film, post-modern literature, post-historical history, post-Kantian ethics. The post may liberate us from the past, but meanwhile, it recoils from any future. Scientists and social scientists pretend to stand removed from arbitrary nines and zeros, but they too are caught up in endings that will not end. For them we inhabit a post-Einsteinian universe, a post-Darwinian planet, a post-mechanical age, a post-industrial siecle, and a post-cold war era, dutifully recorded all the time by the "Washington Post." Now what will succeed the Post is entirely unclear. Which is why metaphors or chaos and complexity currently intrigue us and seem as with the Eye Exam 2000, visionary. Some critics doubt the feasibility or indeed the desirability or anything more coherent from now on end. Post may be all we have left. The caption to this cartoon by G.D. Lou, which appeared in the "Atlantic Monthly" about six years ago, the caption is--and this is something I need to point out--the caption is, "There is no safe place." The whole world is brick and there is still a snake coming out of the road. We either lack the worlds right now for what will come after. On the Internet, the talk returns continually to the inane conundrum of what to call the years after the 90s. In 1901, anglophiles(?) called them the naughts or the oughts. From old expressions for zero. These terms fall flat today, for people fear that their hopes for themselves or their children are indeed adding up to nothing, coming to naught. And others can not face a decade of oughts, and obligations upon the advent of what must be a glorious third millennium. The best solution I ever saw was that, as a New Yorker proposed, we call the years after the 2000 the "oh-ohs." So whether you write it MM or 2000 or Y2K, which is what they do for the millennium bug problem or two-zip, the millennial year and this extended millennial moment which started after 1984, is as full of oughts as a grand ambition for what will come after. And that oughts leads to survivor industries, producing all this equipment and all these foods, dry sell dried packed, for a world that may not be able to survive much beyond us. But meanwhile we will try to survive beyond it. Now as a historian of the ends of centuries in Jewish, Islamic, and Christian cultures and also sometimes in Buddhist cultures and Taoist cultures, I am especially aware of the patterns of response which condition life in the nineties. And nonetheless I too am affected by the contrary currents common at the end of one century and the approach of another. This is, no matter what you say, this is the first time in history (next slide) that one calendar is in use worldwide for purposes of diplomacy, tourism, communications, research, and commerce. I know that most of you can not read Korean, but there it is at the front, the 21st century and the Samsung executive is leaping out there across the world, charging forwarding which his telecommunications equipment to tell us that he is ready for the 21st century. Are we ready for him? Well there is a Korean character on the right hand side there, a very unusual one, which is very important to point out here. Its the character that comes from ancient Korean anomalistic magical practice. Its the character that is the magic of collapsing place. Its like the beaming up kind of material--technology in the Star Trek series. There is a Korean anomalistic technology for collapsing place. And thats what Samsung is doing through its communications technology. This is a mythology we have to deal with, because at the same time we all share a calendar, we all see our world coming together in one way another, magical or not. Now this A.D. or C.E. (some say common era) calendar leads us all for the very first time to a common, calendrical divide. A divide which has drawn attention to itself not simply as the end of a 1000 years, which is what the small end millennium means, but as the start of a capital and(?) millennium, a sabbatical era of universal peace and magical transformation. Like any New Years Eve, this millennial moment affords us an interval for respect, for others, retrospect about ourselves, prospect for our society, commemoration and salvation. But we can make this unique moment more than an overblown New Years Eve or a commercial opportunity. We can make this a time for taking the measure of ourselves and then for taking those measures crucial to a 21st century grounded in equity and respect for the peoples of the third millennium to whom we are indebted. I dont have it backwards. No culture endures simply to ensure its past. Every society works because it has children for whom the skills, the legends, the land, the clean water and the good air must be preserved or restored. Every one of us is indebted for our inheritance and our values to what the peoples of our future require. If there is to be something more than a post. This is what is called a futures wheel exercise done by children in New Zealand and Australia. Just assume, for an instant, one thing pretty incontroversial about the future and put it at the center of your conversation, more people. What happens next? Just think about that. There are going to be more people. In 2030, probably twice as many people on this planet as there are now. Total. From 6 to 12 billion minimum. So here are the possibilities that children came up with just thinking about more people. More traffic, more pollution, more noise, more cars, more use of energy. They just came up with this very quickly. Its incontrovertible that there will be more people. Its not incontrovertible that all the worse things will happen. But if we want to make something different to happen we have to think about it now. In order to get beyond the post then, we need to come to terms with our habitual patterns, historical responses to the fin de siecle, the end of the century. The more we appreciate the pattern, the more we can make of this moment. Numbers repeat, but we make them add up. So what Im going to do is Im going to list seven tendencies that are particularly common at the ends of centuries and particularly noticeably exaggerated now at the turn of this millennium. And then Im going to make 7 suggestions based upon those tendencies about how you here at the Getty can work through those tendencies to some new vision for yourselves. The first tendency. Compulsively counting down. This is just a jazz riff. Anyone here whos a jazz musician can sing it for us. You know. Bah bum da, dee dee. And of all numbers, the common denominators, points of origins, or black holes. The reckoning occurs in our insurance tables, its reflected in our fascinating with DNA. The DNA codes come originally through Mendels rows and columns that were rediscovered in exactly 1900. And the latest estimates are that the Human Genome project will be completed, as it must be, of course, in the year 2001. The numbers that count down to centurys end, add up literally in our society to our identity and our age. so the summation of a century come to be coordinate with a highly personal sense of a lifetime. Second tendency. Trying to keep up with the times. Centurys end convince people that everything is speeding up. Approaching the year 2000, we in this century seem more jittery about acceleration than any previous century. Only this century, never before, have people been at pains to label each decade in terms of its meaning or its style. Only this century have we perfected the tools and the gear to hear and see instantly the tremors and tragedies that befall us each week and every hour. In the wake of 1984, we are free to look beyond George Orwells Big Brother, and subtly, right after 1984, world events revealed the travails of a fin de siecle in which famine and freedom, stock market crashes, and sectarian clashes affirmed on video, instantly for us, the sudden and sometimes devastating end of an epoch. But we didnt know where the next was. The end of an epoch didnt have a consequence, it was just post. The third tendency is feeling distraught and depleted. Centurys ends are taken to heart as ends of the line. To live at centurys end is often to feel as if one were living at an exhausted time. When traditional careers and stock identities, like certain birds or nations, suddenly vanish. This is Albert Woelbedas(?) cartoon from the turn of the last century about what he expected at to happen for the next century to come in. Basically what had to happen is all of the old world had to decay and be taken over slowly, pushing liberty to the side here, by the figure of the modern world who is half human, half T-square, half-robotic, Im putting all these halves together because this is a melange that exceeds the possibilities of humankind. Aging, therefore, chronic illness, and personal mortality, become all of a sudden become not just personal, but social problems, as do suicides and suicide rates, which are viewed with acute seriousness at the ends of centuries, for the premature ending of ones own life is too resonant of larger calendrical endings and even more premature ends of the world, from toxic pollution, mass extinctions, a dead planet. The fourth tendency. Getting confused about conclusions. This was our option in 1988. We thought we were at the end in 1988. So between 1988 and now weve still been waiting for the end to end. Centuries end seem indeterminable. The end has been held in sight for so long that it seems to take forever for anything truly decisive to happen. In fact, ever since 1900, people been waiting for the year 2000. One could consider the entire 20th century the end. Because people have been waiting for it so long, to come to 2000. The desire for things to come to a head leads people to be jumpy. To jump to conclusions, to reverse themselves, to suppress the logic behind major decisions lest their motives seem either too emotional or too unfeeling, too mystical or too calculating. I think Pizza Hut, the Weather Channel, and the Gay Mans Chorus is possibly the most obvious candidate for a conspiracy here. The fifth tendency is searching for signs. Centuries end so condensive ends that no coincidence can be free of larger meaning. People become obsessed with hidden kobowels(? ), artistic or multinational, with conjunctions, economic or astrological, with serendipity, scientific or romantic, and with convergence, historical or as we now know from 1987--next slide--harmonic, up at Mount Shasta. What ever happened to that convergence. Well, its still going on. Until the year 2012 when space beings in the form of light, which itself is a kind of genetic code, will come and transform us. Each centurys end, its true, the world does become rounder. And subject to a global ethos which begs or demands that humanity be made whole and encompassable. Calls to think globally are essential now as fears about a despotic run world or new world order. Acts in retrospect, particularly at the end of this century and at end of the millennium, persuade people to consider themselves on the largest context possible. Part of a continent, a species, a populated globe--a universe as in this illustration from the National Space Society called "The Ultimate Sandbox" which gives us both the image of the child settling in on the moon but also that image as you know from every single picture, published in the 1970s, about NASAs successes going around the world and seeing the world as one blue-green globe. Our new found ability to scan planet earth from orbit amplifies the internationalist and ecological concerns that typically arise during a fin de siecle. We look for universal languages or technologies to unite the world where from all the fantasies about the Internet and the fanfares for the World Wide Web. Let me put a single note to this, a footnote to this picture. It was true when the NASA astronauts went up and when the Russians went up in the late '60s and '70s circling the globe, they could take amazingly beautiful pictures of the globe. It is no longer true that they can do that. Not because cameras have failed, its because due to deforestation, due to desertifciation, due to volcanic action, and due to pollution around the major cities of the world, it is actually rare for an astronaut going around, circling the globe for 24 hours. It is actually rare that any astronaut can take a single picture of the earth that is uncovered. It is covered with dust now. It is clouded from space. It is not the blue green jewel we have in our minds eye from the pictures of the '70s. Seventh tendency: Going for Broke. At centurys end, people believed that events and inventions are spinning out of control, that everything is passing them by much too quickly. Some see their communities in decline, the human race degenerating or losing its diversity, and nature being sapped of its vitality. So arise demands for conservation and recycling. The politics of scarcity challenges any presumption whatsoever of abundance. Others, aglow, see the uncertainty and the acceleration as the necessary hop, skip and jump into an illustrious future. Some things must be broken or die away for other things more glorious to emerge. Now, actually, this comes from a new age journal and it is a description, a depiction of the near-death experience. No one had near-death experiences in popular culture until around 1986. Before that, no one could have described to you what the common near-death experience is. Now, anybody, from about the age of 8 up can tell you what the near-death experience is. Why is that? Because its a perfect replica of our experience of being at the end of the century. Think of it. You come the end of the century. Youre almost at the end and you dont know what to do. Near-death experience. You almost die. Youre lying there. Your spirit rises up and looks over you... as we look back over the previous century. It takes stock of you. It thinks, well, thats it, were done. But then the tunnel opens up. And the tunnel is blue and white and you want to go through it. And you go through it. Its like the turn of the century and at the end of the tunnel, you meet a very important person who is probably dead, is probably an elder, and is very wise, whoever that person is. And that person tells you the meaning of life, enough so that you get a mission and your mission is to return back and do what that elder told you was so important to do about your life. You return back. You go back into your body, its 2001, you are reborn, you have a mission in life. Everything is starting all over again. Its a perfect example of how weve put into our common popular mythology the experience and the hopes and anxieties of being at the end of the century. This image of being reborn, this image of the bulldozing of the world. Both of them require a new sense of energy. The critical factor at the end of a century is energy. People fantasize new sources of energy which can keep humanity humming, or revive them. There is no more seductive image at the end of a century and especially now at the tired end of a millennium, than the image of cheap, unlimited energy and worldwide rejuvenation. So what would you have thought if someone had told you in 1964 that you were going to eat an energy bar or a Power Bar. This makes no sense. Everything is all about energy. And suddenly were eating more supplements than we are eating actual foods. So this image, this energy image is an image people buy into from all sides of the social spectrum. Radical or conservative, jittery or joyful, we are all likely to be invested in a search for new forms or energy. And hoping now to cross a steep millennial divide, we are most desperate to unlock new sources of energy. Which explains to me at least the wonderful ruckus over Cold Fusion several years ago and of course, still to this very day, that drum beating for batteries that keep going and going and going. Jittery or joyful then, we are gifted with a radiant moment, when people look in all directions for guiding lights and imagine some kind of wonderful, Arcadian universe up above. I wont talk about pyramids by the way, but theyre everywhere at the ends of centuries. How might we avail ourselves of this centurial and millennial opportunity? How specifically might people of the Getty Center avail themselves of this opportunity? I shall make seven outlandish suggestions drawn from and keyed to the tendencies that I have just laid out here. Action 1) Related to compulsively counting down. Given that the year 2000 figures so dominantly within our cultural arithmetic whether you want it to or not, let us encourage people of all ages to tell the stories of their lives in this century and what it will mean to cross over into another century. Let us circulate these stories as a means of counting across the divide. This is a Dutch calendar counting down to the year 2000, but what it insists upon in Dutch is a 2001 nights of storytelling. Thats what happens, if you think about this as storytelling, just as Shaherezade told story after story, what eventually she did was she redeemed herself, she saved her life. It is what we can also do. In Colorado, The Spellbinders are an oral history project of a new kind. Elders are invited to learn how to tell their stories best, because some of them tend to stray or wander, they are trained. They tell their legends, they tell their own stories, they tell their cultural motifs. And the goal, they go to museums and they tell people the stories of their lives, and the legends of their peoples. It is working spectacularly well now, not just in one part of Colorado, in Boulder where it started, but all across Colorado. The Getty project, I know about, where you were photographing landmarks and the Getty Information Institute project for web raisings, belong within this world of telling stories across the divide. There will also be an observance in Iceland in the middle of the year 2000, a compact to be drawn between elders and youth who are drawn from all over the world, they will come together in a plane on Iceland where there has neither been war nor a weapon for a 1000 years and they will say to each other this is what we need to give up to enter the next century. This is what we need to carry forward, from the values of the past to lead us into the next century and these are our obligations to each other. What we needto do that is to think about the Getty as a place which is a center in a sense of bringing the generations together. How can we do that? Action 2) Trying to keep up with the times. The time, of course, as the slide suggests, leads to G-shock. And this kind of clock, this watch you wear, evidently is able to handle G-shock. Im not sure what the "G" stands for, but I think its more culture shock than anything else. What now, given our fin de siecle anxieties of a world moving too fast, and maybe a speaker speaking too fast, let us encourage communities everywhere not to bury yet another time capsule. Goodness, lord, we have so many of those. Rather let us construct time-release capsules that not only reflect the present experience and concerns, but are exchanged with other communities. Opened and added to every 2000 hours, taking on new meanings with each collaboration, so assuring everyone of their own timeliness that they shall not be overlooked. A pilot project like this was instituted by the YMCA, with the collaboration of the National Endowment for the Humanities in about 8 different places around the country by teenagers who put together time capsules, which however, were reflective of their diverse environments, and they were circulated around the other communities in different parts of the country so people could look at them. Im adding yet another element to it. Let those time capsules keep changing. Let them, as they circulate, gather more things in. So we begin to see how communities can see themselves collaborating through their own sense of their presence. What would this mean for an art museum for example here. It would mean that you always have in your art museum one empty room whose purpose and meaning changes every week and which every week involves the community in another activity. One week, the empty room might be just a plain release from having to gaze at all the full walls. Another week that place might be filled with butcher paper and crayons in the middle and anybody who wants to can go at it. Another week, the community might bring in its work, which is always called amateur, but it will be in the Getty Museum! Their work will have a display for a week in the Getty Museum. They can be participating in art world in a whole new way. Another week, some artists may havebdesigned a project for a collaborative structure to be build day by day by day. So that at the end, at the 7th day, there will be this great sculpture, that whoever came to the museum was helping build so they might want to come the first day to help build it, and the 7th day to see what happened there. What this means really is that you create in your museum a millennium space which links the immortal with the peaceful, the playful, and the creative--that is what art is anyway. Action 3) Feeling distraught and depleted. This is a photograph done by Hans Visser in Holland, in the Netherlands, the Computer. The Schtim(?) Millennium, a Harlem-based millennium foundation, every year sponsors a contest among school photography students in Harlem. They ask simply this: no other ideology behind it. Give us your best photographs of the world in the 21st century. This started in 1987, in 1987, the photographs were shown. Even the best, the award winning ones were bleak, desolate, the 21st century to them was post-apocalyptic. Completely barren or completely wasted. In the last three or four years as this program has continued, the photographs have become green. There are children, there are gardens, there are pregnant women, there is possibility of new life. The Schtim Millennium Institute in Harlem did not say anything, did not change its instructions, it said picture the next millennium. This picture came from the early part, when people were feeling distraught and depleted and this is the people depicting how in fact the ark of animals were saved by Noah no longer wants anything to do with Noah. No longer wants anything to do with the industrial society it created. So given our fin de siecle worries about resources wasted or depleted, let us link environmental concerns to qualities of foresight, innovation and resourcefulness which are such keen elements of art and of computer imaging and of information processing. The problem with ecological campaigns that often arise at centuries ends is that they are seen as nobly retroactive and therefore lost causes. As merely preservationists or aesthetic. Or as some atonement for malfeasance. None of this impresses people with the importance of life on a well tended earth, where beauty is actually a principal of being. What do I suggest for the Getty? Specifically, rethink the value of copies. If you do, you may be able to give people a sense not of the rarity, but of the commonality of art. So that they can touch, smell and closely observe artworks from which they are forbidden in standard museums. What if the Getty sponsored a project for creating really good copies? I was just in the Louvre a few weeks ago. I was in the room next the room where the Mona Lisa is displayed. The Mona Lisa is something no one really reacts to anymore, theyve so many copies of it, so many bad copies of it theyd rather do a mustache on her or something. But in the room next to it are these huge 16th century mannerist paintings! Really dramatic, exorbitant in their emotions. And I was impressed, more than I thought I would be. But the people who were in that room were not looking at those huge mannerist paintings, they were looking at a young Japanese woman who was doing a copy of one of the mannerist paintings. They were more intrigued by the process of copying than they were in fact even by the mannerist paintings themselves. There is something about copying which can bring people back into the art world, think about the copy then as a way in which you can demonstrate access and the notion of plenitude. And then you can return to what we have of the Roman idea of a noble copy. And I had a tremendously moving experience when I was at the Malibu Getty, several years ago, with two people in their '80s who were both almost blind, but there were some sculptures out by the pool outside in the atrium which they were allowed to touch. In fact the couple said you could touch them. And feeling those sculptures and merely blind people gave them a sense of the Getty that they didnt get from any other part of the museum. Could we transform the Getty Centers notion of the copy so that not everything that is shown needs to be, or be presented as, or be defended as an original. It may lead to questions about sustainability even. Action 4) This is a fractal spiral, I dont know what end is up or down, but every spiral is itself another spiral. So its very appropriate as a demonstration of being confused about conclusions. And given our exasperation with the neverending end and frustrations with endings that whimper. Why not making endings themselves a topic of discussion? This is already being done through artwork at the American Museum of Visionary Art in Baltimore. With an exhibit called "The End Is Near." Which is introduced by a collection of broken wristwatches donated by people who come to the museum. And then which has on three or four floors, three floors on the basement it has artwork by people who are called outsider artists, who never worked as professional artists, who were never trained to be artists. And they were still obsessed with figuring out when the end of time was, what Apocalypse was, but they were also trying to figure out "Whats my place in the scheme of counting and the scheme of days." Well you could continue doing something which is being done in Los Angeles by another video maker, Ennis Demitrios(sp? ), interview centenarians. Ask them what they met about their lives, what did they find about their lives. You could continue scholarly debate in the humanities about issues of ecological, political, and economic decline which has just begun, but is in danger of being taken over by social scientists. We need to bring out into open those fantasies which beset all periods of waiting. So if youre going to have lines, if youre going to have people coming here in such droves that they need to stand in lines, there must be something around them in the lines that depicts, suggests, deals with, works through the fantasies of waiting, which is what we are in right now. You all have fantasies waiting in the bank teller line. The fantasies go from one thing to another, but theyre always about being in a different place than where you are now, standing in this line. Why not let some art decay? Get some of the art out... youve never really wanted to display, that you own, but really couldnt stand even having up in your walls. And you own it because you thought it was important enough to preserve because it was given to you by some important person. Take some of that out in to the open air, let it decay and talk about decay. Talk about what happens to art as it decays. Talk about the notion of painting and notion of art as capturing a moment, but not necessarily capturing it forever. You already have a series of constructions here which are themselves panelists(? ), layers upon layers. And thats the rock. The rock is sedimented. The rock is not solid, it really is sedimented. Can you use the architecture of this place to discuss the notion of time itself? Action 5) Searching for science. Its hard to see up at the top of the slide, its almost lost. These are called Pursuit 2000 eyeglasses. Theyre for night vision and for escaping the radar of pursuing cops. Theyre supposed to let you see into the future, that is, into the long distance beyond your headlights in the nighttime. Given the search for meaning in our post modernity(? ), why weave the symbolism of 2000 to the advertisers of such consumer goods to prophets of Armageddon, to planners of large New Years Eve bashes and to self-congratulatory futurists who are too enamored of technological progress? Make the years from now on, through 2001, a time for personal and social and communal reflection upon what the next century could mean. Not to us, but to the people of 2023, or 2047 or 2064. The arts and humanities are not just vehicles for celebrating or inspecting the past, but they could be the ideal, the chief means for redefining the next millennium. Im going to be working on a project with the American Library Association to design a series of readings and videos for discussion about the bend of the century. And about our dreams of earth and sky, how we deal with our notions of what a future could be. What does it mean in the context of a new millennium here then, for this place to be a center. A Getty Center. What is a "center" for a new millennium, at the turn of a century? If its just an in gathering, thats sort of selfish. If its totally radiating, then it begins to influence people. What would it mean to have this as a center? Is this a point of orientation? Is it a black hole just bringing things in? What does it mean for this place to be a center? My suggestion is that people should come to the Getty not because of whats here, but because of whats going to happen here. Thats different. If they come to the Getty just to see something, then what theyre coming for is not something that theyre going to bring back with them except as a memory. They wont act when they leave here. Can the Getty Center in all of its various buildings and institutes and educational and cultural pursuits, can it be a place where people think to come in order for something to happen that they did not expect to happen? So that they leave the Getty Center, and they go back wherever they are, whether they live in Los Angeles or live in Tokyo. They go back and they say, "You know, youd better go to that place when youre there. I cant tell you quite whats going to happen when youre there, but when you leave, youre going to remember whats going to happen there, and youre going to tell other people about it because you want to do something about it." Can you make a center that is so radioactive that it has an impact way beyond memory? This is one of the very craziest millennium ads Ive ever seen, but its really, really typical of what people are trying to do now. This is an ad, by the way, which is unlike any ad in the United States. Its a double ad, for two different products, for sucking candy and for denim for the new millennium. But its also an ecological ad that asks over here "where are the animals?" And its also beyond all of this an ad thats trying to put together the whole universe and have it make some kind of meaning. What does it mean? Given the centurial urge toward the ecumenical and the global, what does it mean for the Getty to think globally? Well, you could think inter-culturally, inter-ethnically, inter-generationally. You could make public commitments to a more globally sustainable universe. But what would you do here? Could you make as the White House is looking for in the White House millennium program, could you make the Getty Center a millennium community? The advertisement by the White House has been looking for towns or for cities to announce themselves as doing certain kinds of very worthwhile projects which would be worth designating a millennium community. If they do enough toward the next century, then they will be designated as a millennium community. Maybe the Getty Center itself could do enough to show that it was thinking through into the next century on behalf of people beyond the Getty Center that it could become itself designated as a millennium community. Could the Getty Institute, the library, the museum, the educational and information processing resources be allied not just by a site, but by a vision? Action 7) Going for Broke. This is a collage, which I usually get upside down, but this one is right. This one is by Philip Aaer. Its called and has a marvelous title, "The Stress of History and the History of Stress." Given the contrary feelings of detachment and excitement at centurys end, let us make the entire year 2000 the year in which we establish the sureties for the next millennium. Soliciting from children and seniors alike, gifts for a treasury for the 21st century. Gifts as small as a thimble from a woman who began sewing in 1984 and as large as a roll of butcher paper painted by preschoolers imagining the world of children 5 or 10 years hence. Gifts that are at once historical bequest active critiques and prophetic investments. In a book by Lewis Hyde called "The Gift," a suggestion is made that the arts are the essential gift that humankind gives. Because the kinds of gifts that simply go from one person to another, my face to your face, my hands to your hands, could establish problems of reciprocity, could establish a hierarchy of power. I gave you a better gift than you could ever give me. Could establish a sense of jealousy. God, I wish I could give a gift to that person like that person is giving. Right? Gifts that way work harm. Lewis Hyde suggests that gifts that work the best inside of a human community are gifts that go around the corner. You dont really know to whom theyre going to end up. And if they come back to you, as they do sometimes in Japan, thats just fine. The fact is that the gift earns its keep in our society by moving beyond the first person to whom youve given. Thats what the arts are all about. Can the Getty Trust give gifts for the millennium which are meant to circulate around the corner? Out of the corner of the eye? Can the Getty people here as a center begin to gather up this kind of treasury? Encourage people to think of the Getty as a place that they are going to invest in in terms of their visions. Bring those thimbles, bring those things that youve sewed years ago, at least for a period of time in that empty room in the museum in the year 2000. What is it that can make art itself not just seem expressive and exciting, but transformative? I know you cant read any of this, Im just using it for the image up here. This is a Saturn ad. Two pages. The slope of the dune keeps continuing over here. But theres some questions raised here and over here, which are a wonderful way to come to a conclusion. The actual caption up at the top underneath the child is, "Now what?" The questions below are specifically centurial. Where will we be 100 years? What will we have learned? How will we do things? Will we still be different? Very strange for a car company to ask will we still be different because obviously this ad is designed to distinguish it from all other car companies. But its a wonderful set of questions and a wonderful image for coming to the end of a century. Why dont we then work to effect a meaningful convergence? As Albrecht Durer experienced it. A generational change, world historical age, and a turn of the calendar page. Now, it may be sheer coincidence that our sense of urgency at the approach of a three zeros is very apt when facing the problems we do face at the turn of this millennium. Fine. Its coincidence. Why spurn coincidence? Why not embrace it by doing something of moment for those who in the years ahead will understand and appreciate the results of our work? Why not enlist the personal and social energies that give rise to these kinds of ads? And are rising at the end of every century? And work to engage people in programs of sustained action well into the next century? The point is not to exalt a number, or to indulge in a magical calendar, or to stop doing anything in 2001, the point is to impart a human momentum in this era. More than any other human endeavor, art is that which has most consistently worked to bring together worlds. And its brought us since--art is the endeavor which is best situated at this millennial divide, to urge us on to do something weve never done before. Art frames and dramatizes our current problems and complexities. It deepens our sense of selves as capable and reflective individuals. It refuses to acknowledge borders or impossibilities. And it gives us a comprehensive encouragement toward change. The question is what will you be able to say to your grandchildren, great grandchildren, great, great grandchildren, in 2012, 2040 when they ask, as they are bound to ask, "What did you do in the year 2000?" If you say, "Well I watched fireworks on TV." this is not going to be impressive. If you say, "I really cant remember, it was a day like any other." They wont believe you. If you say, "I took all my money and I went to Manchu Pichu, and I had an epiphany." it still wont mean a lot to them. If you can however in response to that question, point outside the room, there, thats what I did start doing in the year 2000 that Ive never done before. That clean air, that water, that forest, that whatever you can point to thats still standing in 2040, then they will begin to understand that you did something really unusual in the year 2000. If you can point to something and say, "I didnt think to start to do that, I shoulda started doing it earlier than the year 2000, but I did do it in the year 2000." this would make some sense to them. There may be no single earth-shattering cataclysm in 1999 as was predicted in 1498. No avatar to lead us brilliantly into the next century in the year 2000. No glowing revelation or redemption in the year 2001. But it would be tragic to let these years which have been so full of longing transpire, acast like any others. This watch ad is a kind of commentary on that. At least were guaranteed that time will continue running into the 21st century. Im a little revived at least by that. But, at the same time, Albrecht Durers "Four Horsemen of the Apocalypse" are riding through our media, you see that image constantly everywhere still. And you will see it more in the next couple of years. So what is it that we with a kind of thoughtful audacity can warrant through the year 2001? And I will take questions or proposals. A: Yes, I understand. I think we have to think about copying in the broadest terms. For example, all human society is based upon it, you wouldnt have education without it. You learn how to do by copying what other people do, from the time youre four weeks old, two weeks old? Thats what copyings all about. In the basic sense. We learn our entire culture by copying. People tell us how to get it right, then we can go on and do something else. But we have to learn how to get it right within each of our cultures. None of us would exist without that act of copying. In that sense, each of our cultures is rooted in the notion that you have to get your copies right. Does that mean we cant become individuals after that? No. But if we have artworks presented to the world as inaccessible because theyre original, then were also violating the very notion of what education is supposed to be about. Which is to give people access to that culture in ways that will give them the same experience. And so I cant get the same experience of a painting that I have to stay 14 feet away from thats framed in glass, as I could if I could actually come up and feel the ridges. This is terrible, youre not supposed to feel the ridges on expressionist paintings. But I could feel the ridges on a COPY of an expressionist painting, then I would get an extraordinary experience that I dont get by the visual experience of just standing back and looking at it. So Im saying copies can give us access through other ways that were normally not used to having access to works of art. Does this say you should devalue all the originals? no, Im saying if you can make good copies of the originals and let people touch the copies, this allows the original to be maintained, conserved, preserved, and go on having that pristine quality that the original artist imparted to it. But there is a sense in which the value of the copy has to be pushed up a little bit in order for people to understand the experience of the paint itself. The experience of the sculpture itself. If I feel that I cant approach a work of art close, if I cant get close without some bells and buzzers ringing, then it actually puts the cultural world at a distance from me. And I begin to think of it as high art or separate art in a way that I shouldnt. So I think the two can co-exist. They can be balanced. There is a way to use copies not as educationally, but emotionally so people can get a deeper experience of the art you are celebrating by restoring meticulously the original. Q: Im not saying copies arent valuable. They have their own value. I dont think thats a substitute for the art itself. I object to your interpretation that people are interested in looking at somebody copying a work of art because they are copying. Theyre probably also as interested or more interested in looking at the work of art theyve created. Every work of art in a sense is a copy itself of nature. I think you undermine the value of the original art at the expense of saying lets make this accessible to everyone. A: Okay, I probably do. But at the same time, I would agree with you, that were theyre looking at a copy at the Louvre, theyre really excited about the process. I would definitely agree with you there. That process is really important to them. So theyll spend a lot of time watching. Much longer time watching the process of the recreation than standing in front of the original painting, ever. Ever. They never stand in front of the original painting as long as they watch the process of the copying. So I want to avail you the process of the copying. Q: Its interesting that all those images youve used to capture the end of the century are all advertisements. What does that say about this century? A: Good comment. There are three reasons why I did that. First, its a copyright issues, about what I can use or cant use. I wanted to violate as many copyrights as I could. Second, more important is that the point of our embracing the turn of the century has to be that we take over and begin to invest it with meanings otherwise the commercial world will have all to itself and monopolize it. Third, I picked from as many different genres and mediums as possible to show how pervasive, although subconscious it is, that people are using end of century and millennial materials to affect us, believing that those images will affect us. Thats why they are in the advertising. And in fact, successful at it. So that they do affect us whether or not we agree they affect us. I think thats important to. Q: Does it seem the rest of the world is more interested in this than our country? A: I think the rest of the world officially is far more interested in it than America is officially. There are lots of communities around the country that are very interested in the millennium things. Theyre trying to get millennium committees growing and they have millennium clocks or countdowns in places everywhere from Scotsdale to Boston to Cleveland to Cincinnati to Milwaukee to Saint Louis. But yes, it is a fact that many other parts of Europe and Korea and parts of South America have much more official monies invested in actually doing something important at the turn of the millennium other than just fireworks. There are however huge numbers of things happening in the United States which are highly commercial or dedicated to the biggest, perhaps, beer party or whatever in the world. And Im trying to work against that kind of thing. So the larger answer to your question is, its actually harder to get people in the United States to think that something can happen that would be different than the commercial. And its much easier to get people in Europe or S. America to think they can make something happen at the turn of the millennium because of the millennial excitements. And that ease with which they do things is the kind of confidence that they can go to people, in the corporate world, the art world and the business and government and say, "Can you support us? Look what we can do." I think the problem in the United States is that people have given up often the idea that they can do anything collective. And they just work on the local community. And Im going around saying, "Look, locally a lot of things are happening. Now we can just pool our resources a little bit more here. Pool our activities and you can see some larger scale momentum at work." I can mention some specific things around the world later, but thats the general answer to your question. Q: Are there positive ways to look forward beyond what youve suggested? Can we escape weekly world news, visions of apocalypse, those kind of images? Can we do something else? A: Western society has no other positive image for any other year beyond 2001. Its the last image--thats the last year for which we have positive images. Everything else beyond that is dis-topian. Post apocalyptic or at least just a mess, until you get to Star Trek and the 24th century. And then its not a specific year because I cant figure out their calendar! Arthur C. Clarke has proposed 3000 as a positive vision. I dont think anyones willing to buy into that just yet. A thousand years is too much to work for. Can we do something? Yes. If we first of all make sure that were not investing in 2000 all of our hopes. And if it doesnt happen in 2000, then we might as well go home. The point is to use all the excitement people have around this period of time, the same way people have excitement and depression around New Years Eve. To use that to get structures and... all kinds of programs in place, solidly in place to go beyond the clear post-2000 depression everybody may have that it didnt all happen exactly in that moment. So I keep talking about this millennial moment as an whole era, not just as a single time. Not a New Years day, not just a single year even, but as a three year, four year, five year period. Its not just for me to get beyond the year 2000, its exactly for your question. Can we do something beyond that? Now, how do you look forward? Well, you dont look forward by prospecting through technology to find what will help you work backwards. Saying, what kind of world would you like to live in the year 2030. You can do this with business men as well. Its not hard. You say, "here first principal of business is you stay in business. Second principal of business is that there will be people who buy what you have to sell." Lets just take those two principals. Thats all, thats very easy. What if there are no people? Youre out of business. What if no one can afford to buy what you have? No one afford to buy what you have because air is too expensive and thats the first thing they have to buy. Youre out of business. So. You think in 2030 I would like a world to live in where theres breathable air, water, sufficient food, shelter, some place to be safe, and finally something worthwhile to do. All human beings need that. And basically all life forms need the first five. I dont know whether all humans beings and all life forms need something important to do, but we know that human beings will die if they dont. So you have those six things for human beings, five for all other living things. And you say to yourself, "Okay, what must I do now to ensure that in 2030 this is possible? Otherwise, Im dead, theyre dead, everythings dead." Now I dont want to make a bleak scenario here in the sense that Im predicting there will be great catastrophes and we cant get out of them at all. Im saying that the scenarios now even by the most optimistic people in the United Nations who tend to be too optimistic are that were going to have a world as doubly populated as it is now. That means there could be megalopolises, fifty-million people living in one area. It could mean that we dont have any way of defending borders because migration would be too powerful a force. Human beings are migrating people. They go where theres food. These are not problems I can solve immediately. But they are problems which if you start putting structures into effect now as Im trying to do from Sarayevo to Germany to the U.S. to Canada, by the year 2100, maybe well have something to deal with thats significant. There is something happening in Canada which is very encouraging. The Community Foundations of Canada. These are groups like United Way. In each community theres a foundation which as funds which are trust funds they disperse every year to help the community become a better community. These communities work together in the sense that they meet every year and decide what their priorities are going to be for that year. But each individual community has its own sense of itself, about what its own needs will be for the next year or ten years. Well this set of 50 community foundations has decided that its project for the next five years or so will be to decide in each individual community what its millennium gift will be to the people of the next century. Where are they going to invest their funds so that they think beyond the first four years or five years of the program to a sustainable community for themselves in the next 100 or 200 years. Thats an important thing that can happen. Its positive. And it can happen in the United States where theres about 450 community foundations, the richest of which are in Silicon Valley and Hollywood. Q: Given the fact that L.A. prides itself as a city of the future, why does there seem to be less interest in the millennium community? A: Its because Hollywood has already banked on it and drawn all its capital from it. In fact, Hollywoods tired of it. It wants to get beyond to something else--except for Disney. And Disneys just a perpetual millennium. Capital "M" Millennium. In the more serious sense of things, what has happened is that L.A. has always been parading itself with the veneer of the future, but its always never built its infrastructure up to be a part of the future. So... they have here a wonderful media blitz which can be turned back on them. And say, "Lets put your mouth where your money is." Theyve already invested all kinds of money in depicting the 21st century and the new imagineers are imagining a new 21st century for Disney World and Disneyland. Theyre going to have new exhibits. And what was the best thing they could come up with about imagining the future? Theyre going to build an exhibit called California. California is a term that comes from a Spanish utopian myth about what this place will be like. So theyre recreating a utopian myth about a California of the past which is electronic-fied to appear to be the future. If you can tell people, "Look, youve been predicting, giving us the future in images for another 85 years now, since about 1912, youve been giving this to us, now lets make this future happen." And there are ways through the web raisings that the Information Institute is doing, through the kinds of consortiums being created through the US of C, city planning group and architects around. There are ways in which to make the bedrock of the community being built into the future for a sustainable environment. For the rest of the sustainable society in need. The last thing to say about L.A. is that it prides itself on being able to seem to do the impossible. So why not take advantage of that and say, "Okay, let me give you some impossibles to achieve and lets see what we can do about them right now." I think thats a way to work. In other words, Id take the images its presented of itself and say, "Lets do them. Lets not just make movies out of them." A: I think most of thats just right. Although as a scholar of millenarian movements, I can tell you that its not always the fact that one roots ones self in ones lived history in order to expect a transformative moment. Quite often someone roots oneself in someone elses history as in the Old Testament, or the New and Old Testaments. One borrows that history to get a sense of ones own personal history. Or one borrows a sense of statistics which Americans are really great at to a sense of time changing and history. But it is true, its harder for Americans to see how things are lost and then regained. Because weve been doing so much of the losing without paying much attention to it. I have a story to tell here which is exactly pertinent here. Anthropologists now have realized that theres a curious pattern to how they go about their archeological digs. They see that when you have garbage heaps, which is where you find most of the interesting stuff for every culture of the past, thats where they threw out all their things gradually. The top of the heap, the point at which the civilization disappeared is the least interesting. Precisely because as you get farther toward the top of the garbage heap, the culture began recycling more and more. And as they recycled more and more, there was very little thrown out, so the garbage heap wasnt very interesting. At the bottom, when they started out, they just threw out tons of things. They werent too worried about what they were wasting or giving away. The bottom is just really interesting. So there is a kind of interesting commentary on our recycling now. One of the problems I have, this is a serious problem, we have had a wonderful success of getting people of all ages, from three years on, to be excited in and engaged in recycling. But if you think about in anthropological and archeological terms, recycling is actually a sign of the end. If you can get people to think that one can go to some other avenue of transformation beyond whats there, then we can actually have some positive actions to do, with or without a deeply embedded sense of personal and generational history. At least thats what Im hoping and in the U.S., Ive done a project which shows me this can happen. There were about 70 students in Lyndenwood University in Saint Louis who came to have a workshop with me about thinking about the future. And we came to a room with linoleum floor and we laid out plastic tarps all over the floor, gave everybody plastic gloves. I took six bags of garbage in plastic bags and dumped them onto the floor. I said, "Okay, you have two options. One, pick objects from the garbage and build a sculpture that symbolizes what you never want to see again when you enter the 21st century. Or 2, pick objects from that same garbage pile and pick objects that represent what youd like to see restored or rethought or reconceived for the 21st century. And build a sculpture out of that. Instantly, there were 60 people at work, about half wanted to get rid of the garbage from the 20th century, and half reconceived the garbage from the 20th century. Of the half that built the first one, the 20th century get rid of stuff, built a net of twisted fabrics and straws and papers and stretched around chairs. And decorated a young woman to become the statue of liberation popping up through the net with all the garbage on her, saying were getting rid of all this. No one designated what they should do. And then the other group in a space of 45 minutes, thats all it took, built an eight foot bird harboring under its wings the things it needs to carry into the next century. This kind of transformation can happen. This can happen in an empty room in the Getty museum too.